Give it a spin and see your wishes come true. This dreamy video slot is at the top of its game. 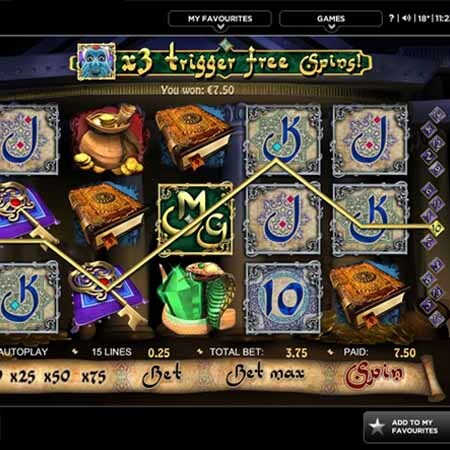 Millionaire Genie is one of Random Logic’s longest standing and most favoured online slots. Thanks to the Genie’s popularity, you can expect to find Jackpots worth millions! 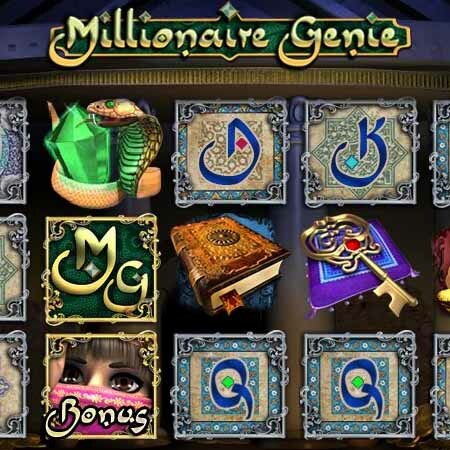 Although it has been around a while, the makers of Millionaire Genie have made sure that their traditional online slot remains up to date with all the latest effects and technology. The dreamy 3D graphics and cutting edge features will have you mesmerized. The game revolves around a friendly Genie who takes you on a mystical journey to realize your dreams. Bask in the beautiful design accompanied by seductive music and sound effects. The Jackpot meter is pretty impressive too. It is housed in chest full of gold, where winnings tend to average around £1.9million. Not shabby at all! Winnings are pooled across the network of Wink Bingo’s sister sites, which is why the numbers are so impressive. Watch out for those Free Spins and Sticky Wilds which could help turn your fantasies into a reality. Millionaire Genie boasts 5 reels and 15 pay lines. The reels are packed with dreamy symbols containing Arabian imagery and ancient lettering. The Wilds help complete your winning patterns. When you get three or more Scatter symbols, the Free Spins kick in. When you’re in a Free Spin, extra Wilds appear, making your chance of hitting the Jackpot even higher. These Wilds stick around for the duration of your Free Spin session… They don’t call them “Sticky Wilds” for nothing! Not only that, there’s no need to achieve any special pattern to win the Jackpot. Your big win is simply determined by your bet amount, along with the number of pay lines. Whenever some lucky player hits the Jackpot, the Genie’s pot is replenished and starts to fill up again. In case you get tired of pressing buttons, you can use the Autoplay feature to spin for you. It can be set to spin 10, 25, 50 or 75 times, plus you can stop it whenever you want. The game is also really easy to navigate, with an Info screen containing symbol values and a pay table. You certainly won’t be disappointed by Millionaire Genie’s exciting bonus game. If you’re lucky enough to land three bonus symbols, the Genie’s Palace bonus game will magically appear. You’ll be transported to a new scene, a hidden game within a game. There you will be granted two wishes. The first prize is unveiled when you select one of the three stunning belly dancers. Your second wish is granted when you uncover one of six overflowing goblets. Players have seen their winnings go from £7.50 to £600 in an instant. Give it a go, maybe you’ll also collect a goblet full of cash. They don’t call it Millionaire Genie for nothing. If you like your Jackpots big, then this is the game for you. But isn’t just about the money. Millionaire Genie is also an assault on the senses. If you have exotic tastes and love to be seduced, you will not be disappointed. Plus, if you live life on the go, Millionaire Genie has you covered too. The game can be played on any mobile device… What with the massive winning potential and all the amazing features, Millionaire Genie really has it all!